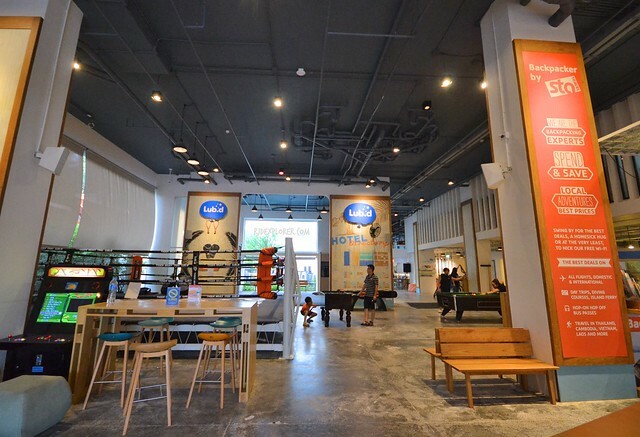 Muay Thai ring, billiards, table football, and an air hockey table. I wonder if backpackers checking in this hostel in Patong Beach still have time to sleep. There are tons of activities to do apart from what Phuket, Thailand offers! But before I plunged with the craze, I settled my reservation at Lub D Phuket Patong’s not-your-ordinary front desk. After that, the staff handed over my key-card and asked me to follow her for a short tour. Lub D Phuket Patong’s lobby that’s more of a game center. She continued the spiels telling me that the hostel has four buildings. We passed by several elevators while she instructs me with the key-card digits. The first digit is for the building number, followed by the floor, and last two for the room and bed assignment. She also led me to the laundry area before allowing me to get to my room. Lub D Phuket Patong’s front office. One of my pet peeves in staying at hostels is the upper bunk bed. It was tiring to stay on the upper bunk especially if you keep on forgetting something in your locker. 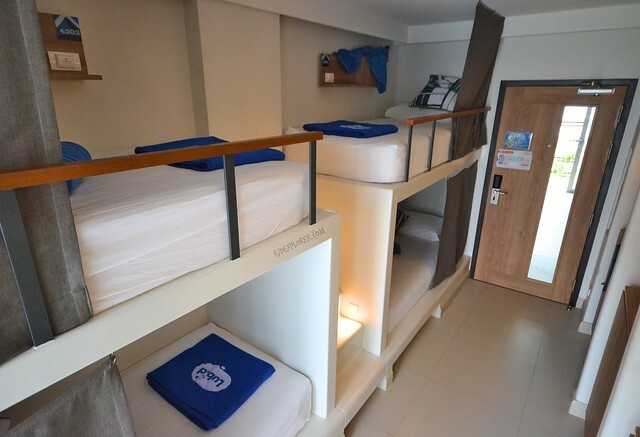 Unfortunately, on my stay in Lub D Phuket Patong, I was assigned on an upper bunk. But the good thing is, the ladder is not the vertical yet inclined stairs located in between the beds. It was a 4-bed dorm room, by the way. 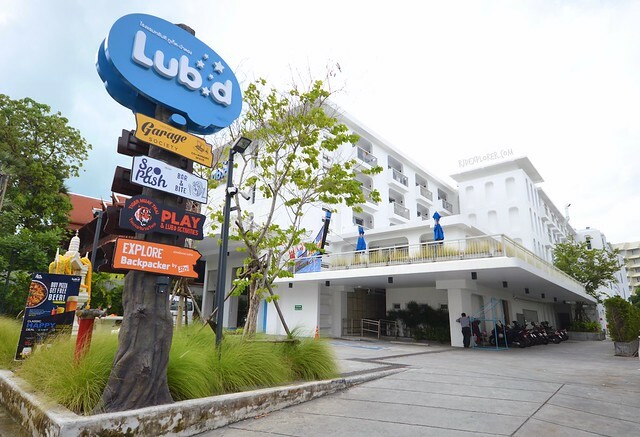 Lub D Phuket Patong 4-bed dorm. To continue with the shared room tour, every bed has its own locker and a booth. Top of the locker can be used for other stuff, you have your own mirror, and a wide space of metal bar to hang some clothes and thingamajigs. The only downside, the bottom part of the locker has about a 2-inch space open. You need to bring your own lock in securing your box. Nice and comfy beds while in Patong Beach, Phuket. The bunk-beds have a small locker, offering enough space for tiny valuables, and a universal electrical plug. Each bunk has provided with a bright blue blanket with the brand printed on it, a regular pillow, and another artsy throw pillow. 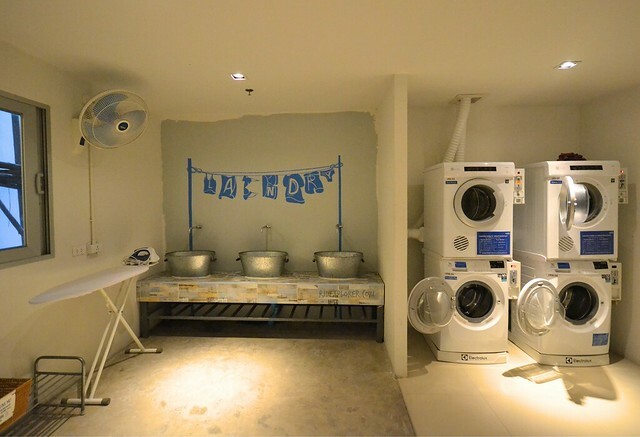 The room also has a tiny balcony with a drying rack for wet clothes from the beach or island hopping activities. View from the space is the adjacent buildings of the hostel. 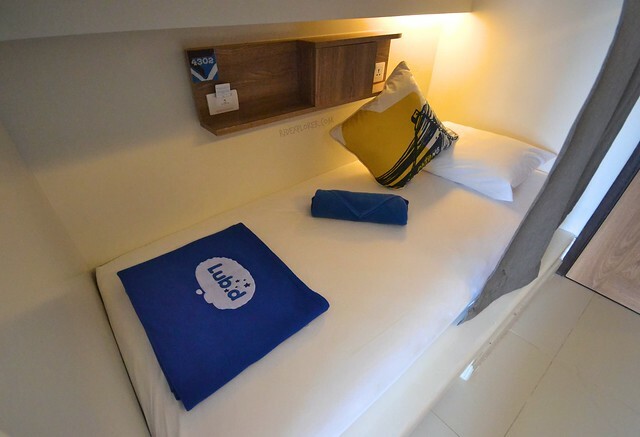 Aside from the dormitory rooms, Lub D Phuket Patong also has private rooms such as deluxe and junior rooms that differ in space. Each type has a king and twin versions as well. Other travelers don’t wake up until past noon especially if they had a blast the other night. Not an issue when staying at Lub D Phuket Patong because the restaurant offers an all-day breakfast dining. For shared rooms, breakfast is not included in the rate, not sure for the private rooms. 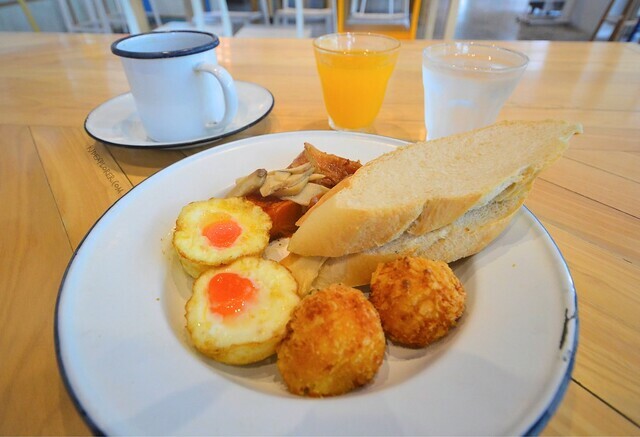 Nonetheless, you can get a plateful of fried eggs, hash browns, bread, bacon, and mushroom served with coffee or tea, and a fresh juice. The restaurant is open from 6:30 in the morning up to 11 in the evening. From simple bites to a full snack, the restaurant is a cool place to hang-out from the fiery weather in Phuket. Several promotions during my stay include their happy hour offering discounts on house spirits, classic cocktails, and wines. You can also dare to try the discounted Songnam and Absolute buckets. Another thing that made me stay at the restaurant during late afternoon is the free popcorn. I don’t drink that much so I just stayed in the area for the freebie, poor me. One afternoon, the crew set-up a karaoke event where guests passed the microphone for a song. It was a fun activity to sing out loud in front of total strangers. Eat or sleep, take your pick. 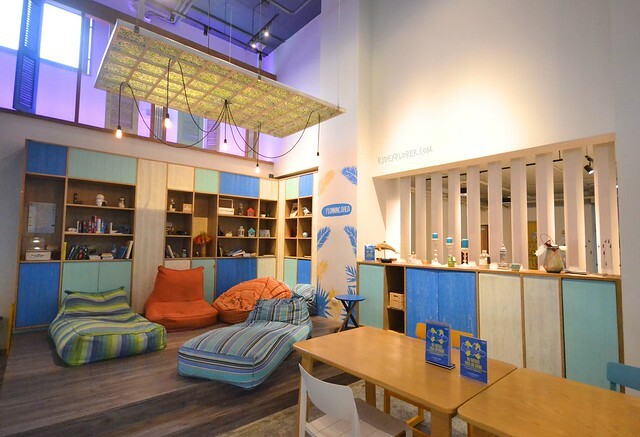 The fun, artsy, and vibrant design of Splash Bar and Bite will also encourage you to just lounge on bean bags while sipping your favorite cocktail or take a nap or meet other like-minded travelers on the mezzanine floor. Modern nomads, nowadays, look for places where they could stay for weeks or months juggling traveling and working. 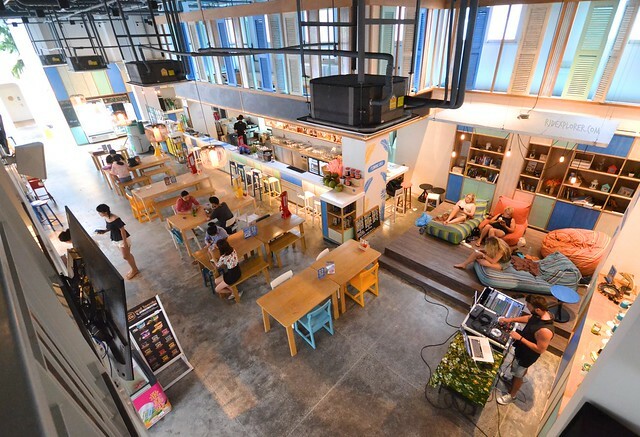 If you’re this kind of traveler, Lub D Phuket Patong’s co-working space is definitely for you. 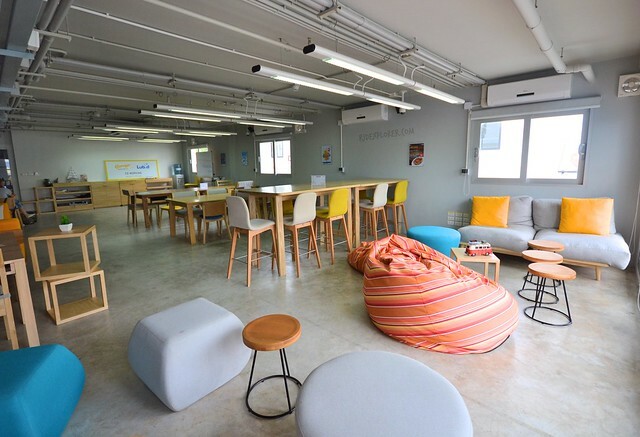 Garage Society provides brand new facilities, a reliable WiFi connection, printer, fax machines, refreshments, and more. 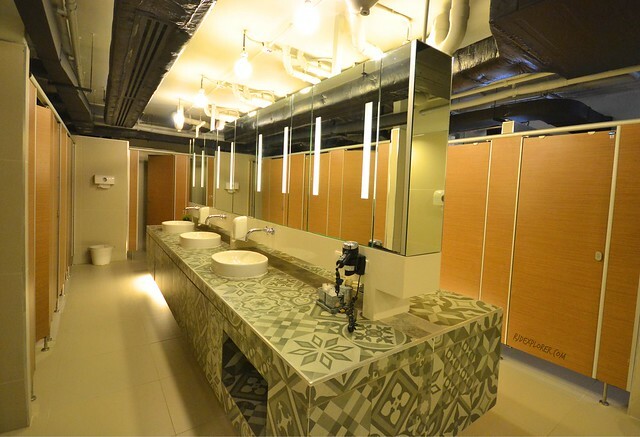 A day pass rate is THB300 but you can also avail a 2-hour or half-day pass. If you’re staying for a longer time in the area, 5-day week pass, part, and full-time month pass are also available. Garage Society Co-working Space on the second floor of the hostel. The coolness of Lub D Phuket Patong’s interior design extends to Garage Society, making the coworking space a perfect place to catch-up with work and your to-do-list. To amplify the experience, apart from the facilities I’ve already mentioned, Lub D Phuket Patong has an outdoor pool. 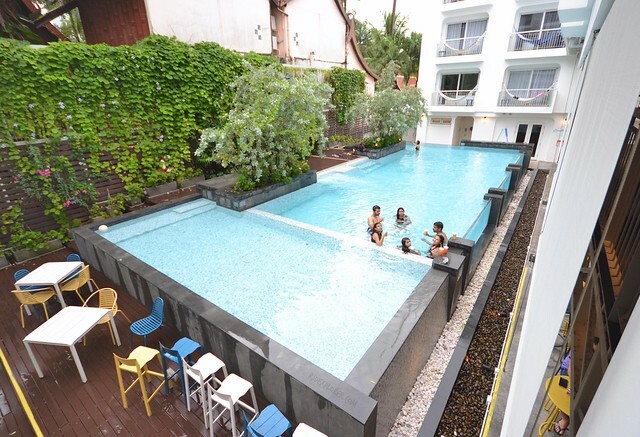 And every Saturday, the hostel invites you to a pool party from 5 PM to 9 PM grooved by their house DJ. Don’t be a killjoy and avail classic cocktails and buckets on discount. If you’re on a tight budget, you can get a free glass of Songnam Punch, just check in at the pool party on swimsuits! One of the most jam-packed lounge areas at the hostel. Laundry is not an issue during your stay because their laundry facility has 4 laundry machines and 4 dryers. You can also manually do your laundry on their metal sinks plus free use of the iron and ironing board. Laundry time! Throw all those dirty clothes in and continue the party! 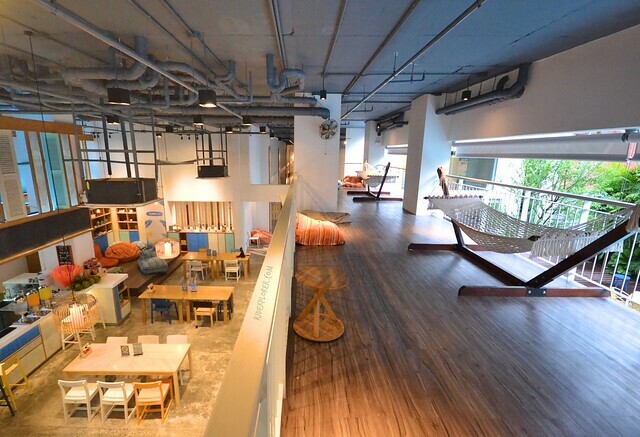 Since it’s one of the biggest hostels in Asia, they can accommodate a lot of travelers simultaneously. Number of guests is not an issue in finding a place to chill because they have tons chill out spots. One of these cozy hubs is the creatively designed Cooldown Room with plush couches, bean bags, and an entertainment system. Guests waiting for check-in or those who just checked out waiting for their pickup can stay at the lounge room for free. I heard they also offer free luggage storage up to 2 months. Other side of Cooldown Room. 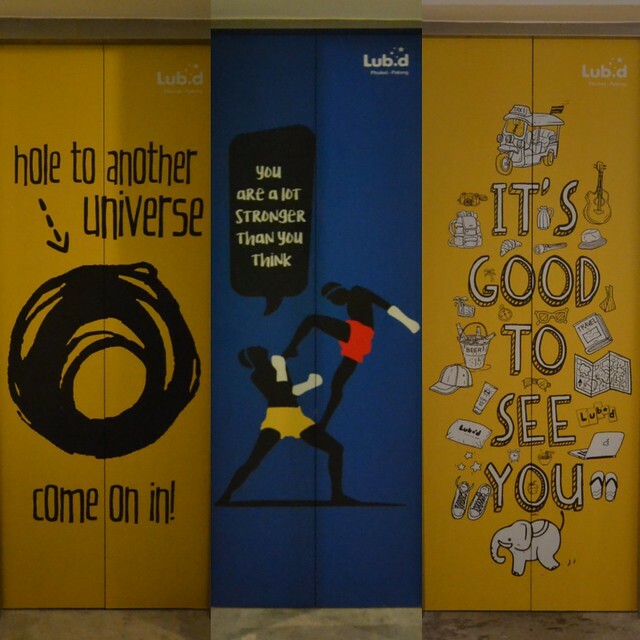 Elevator doors are perfect places for arts. 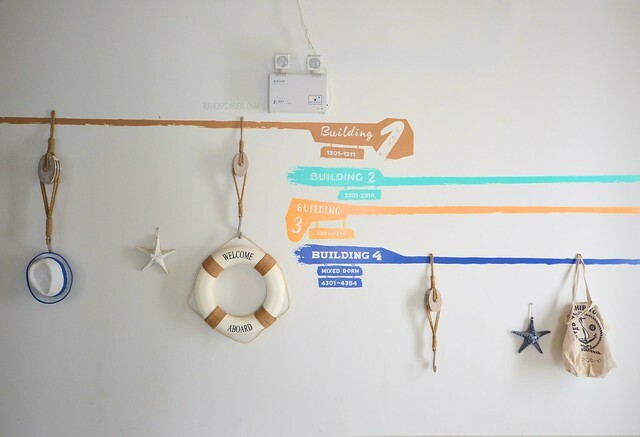 On a side note, all hallways are filled with quirky wall arts and beach-themed decorations. There’s also no way you can miss the vibrant elevator doors. If you have no idea and plans for your stay in Phuket, Thailand, you can seek assistance from their tour desk during your stay. Manned by experienced agents from STA Travel, you can avail tours and activities while in Phuket. The hostel also organizes sunset tours to the Big Buddha. Sadly, it was raining hard on the day of the tour. Learn Muay Thai from legit Muay Thai players. 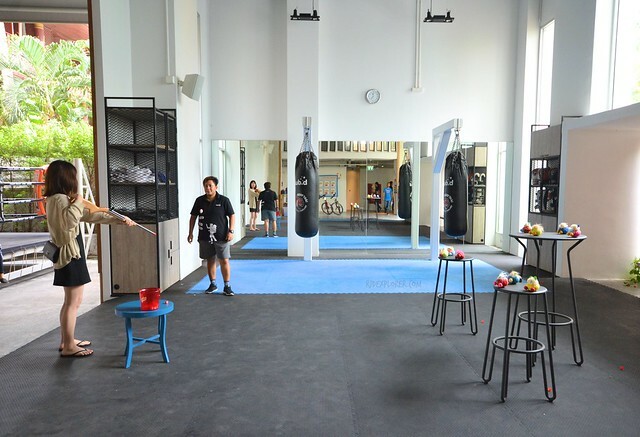 Of course, how could you avoid the funny indoor activities like hand painting, learning Thai basic phrases, karaoke, target shooting, and a lot more! Target shooting activity. I only dropped two out of the ten targets, lol. Few hostels I’ve tried in Japan made my staying-at-hostels standards a bit higher. But my stay in Lub D Phuket Patong for few nights exceeded these qualifications. 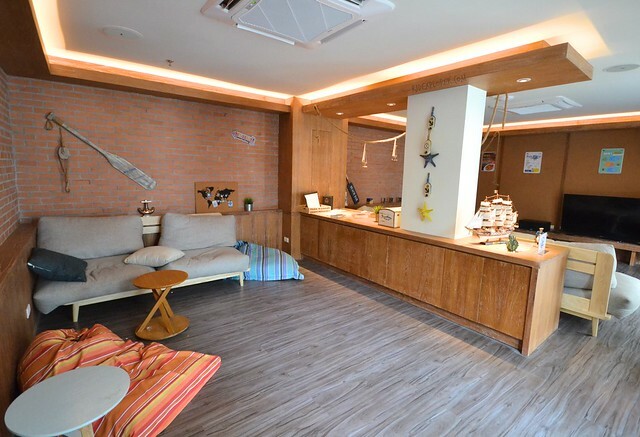 Dubbed as the largest in Asia, Lub D Phuket Patong indeed offers a different kind of hostel living. Facilities and amenities are already given but the cool activities and friendly crew rise above the overall impressions I had during my 2-day stay at the hostel. 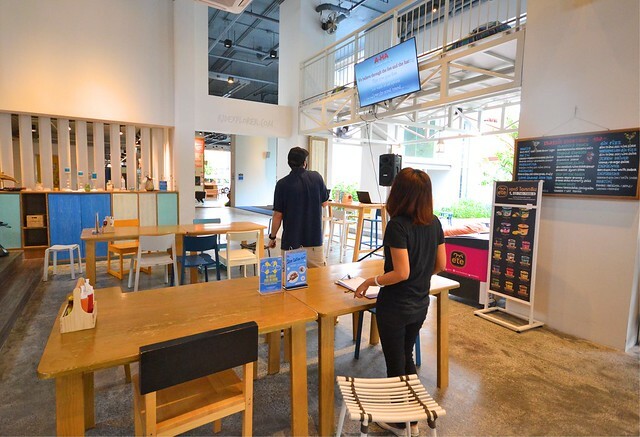 From hostel accommodation, co-working space, nice meals, entertainment, and tours, Lub D Phuket Hostel got it all for you! 5/5 Sawatdirak Road, Kathu, Patong, Phuket, Thailand.